Have you ever found yourself staring at your dog wondering how you ever got so lucky? So it’s not just us? Great. While many of us love to believe that our four-legged friends dream, could we now have proof they do? 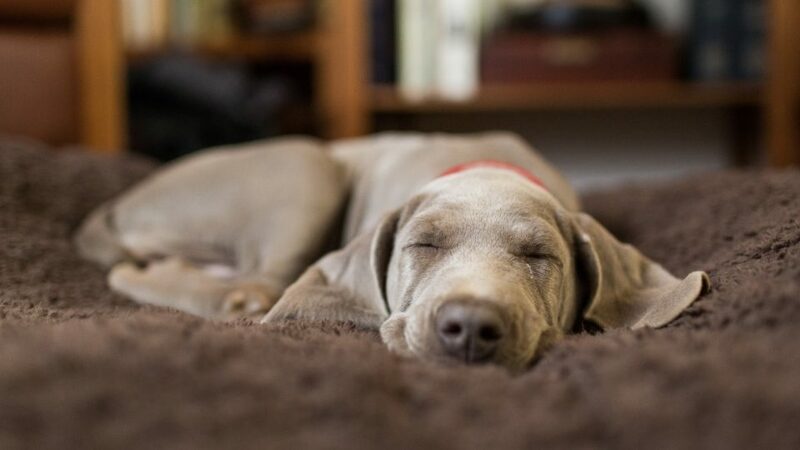 If you’ve ever watched your dog sleep, then the chances are you’ve noticed them twitching their legs, sniffing around, or making noises while they are far away in dreamland. They can often be all too cute to see, but could these movements be some of the tell-tale signs that our dogs are dreaming after all? It seems as though some people have made it their life mission to find out the answer. There are three main stages of sleep: light sleep, deep sleep, and REM, or rapid eye movement. It’s the latter where the majority of our dreams are thought to occur. Our brain waves are more active than the other stages of our sleep, and our eyes often move quickly even though they are shut. For humans, being woken up in this stage can leave us feeling tired and groggy. 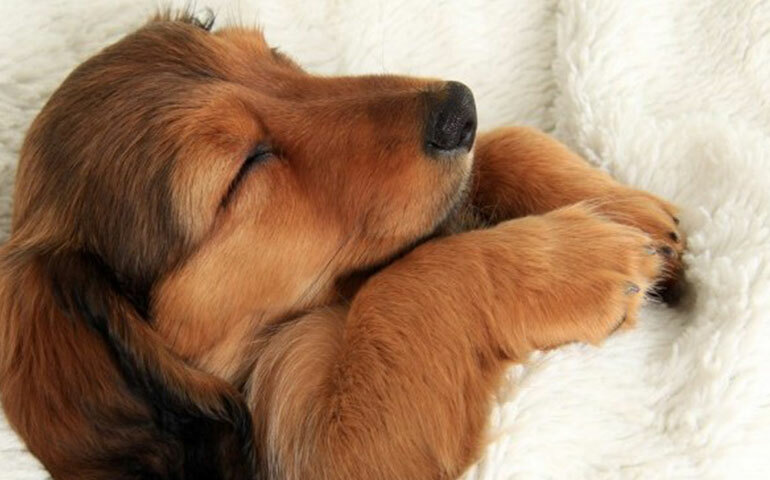 Studies have also show that dogs go through REM sleep throughout the night. MIT has been busy performing many experiments to see if dogs and other animals really dream. They set out a circular track for rats that gave them food along the way while the scientists measured their brain activity. The researchers later tracked the rats’ brains while they were sleeping and were pleased to see the same activity while they were unconscious as the activity that took place throughout the track. It looked as though they were dreaming as they made memories from the experiment. There are many parts that make up a brain. However, it’s the hippocampus that’s in charge of dreams as it collects and stores any memories from the day. The best bit? This portion of the brain is thought to be the same in all mammals. Dreaming about what has happened throughout the day is the mind’s way of storing the important information or events that have taken place. While there is yet to be a similar study performed on dogs, it looks as though things could all be pointing toward the fact that dogs dream. The combination of REM sleep and the hippocampus in the brain makes it likely that all those movements and noises are our dogs remembering everything that happened in their day while they dream up all their favorite things while they sleep. It looks as though our dogs dreaming could be more of a reality than we ever imagined. While we may never know what our dogs are indeed dreaming, it looks as though we can now sleep easy imagining they are dreaming about their perfect life with their loving owner. Plus, if they need anyone to watch the sleep canines, we’re sure there’ll be plenty of volunteers jumping for the chance.